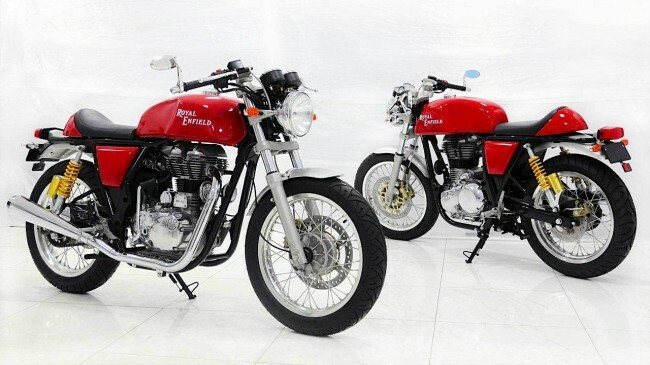 A Royal Enfield Continental GT has been snapped up with a powerful 750cc, twin-cylinder engine which is expected to make it to their future line of products. By the look of things, these are not RE heads but a custom set and this bike should haul plenty of balls. It is about time they did this as the RE needs more power for everyday Freeway use and I for one can testify for that, so stay tuned we may see some cool stuff happening . Take our word for it RE; if you are planning to put this 750cc mill on a thumper like the Bullet or a Thunderbird, it won’t go down that well as it won’t really fit in well with the legacy. Rather the suggestion would be create a completely new platform for this engine to give it proper justice. And also given the rumors that have been floating around about Royal Enfield working on the “Himalayan” project which seems to be a tourer of sorts to be taken up the mountains to Leh & Ladakh which is the most popular bike touring place for many a bikers and the bike of choice also being the RE thumpers. 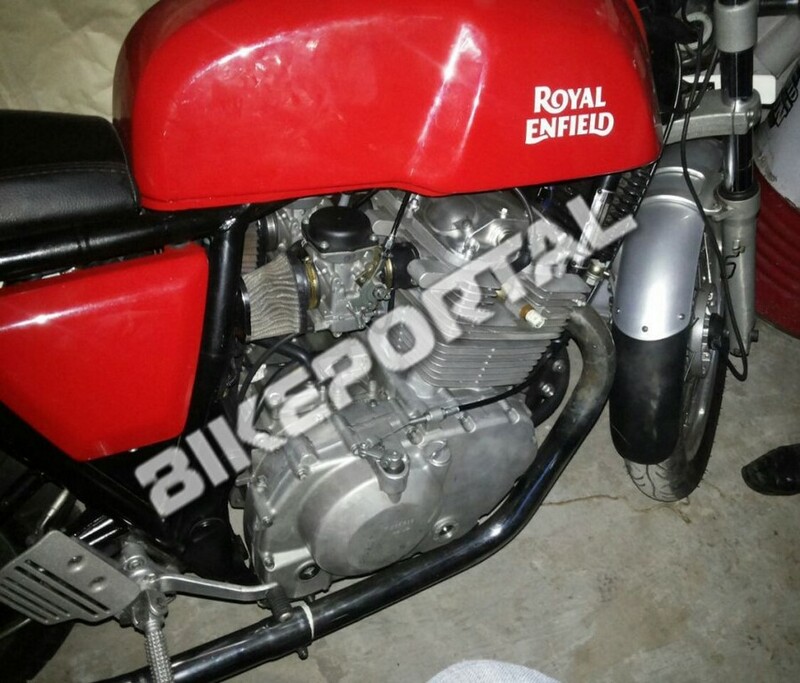 Royal Enfield is also working on a 410cc Single cylinder engine but that seems to be the new generation motor to bridge the gap between their 350cc and 500cc machines and also provide the consumers with an option to balance between efficiency and performance, though we doubt how much that is going to affect the entire thing. Our suggestion to RE would be that it is great that they are working on an inline twin but to keep their legacy alive and also develop with the moving times, a V-twin would make more sense which can be put on the legacy thumpers in the current line up as well. As for the inline twin, it is much more suited to a smooth, vibe free natured bikes and not thumpers. So if you plan for a street motorcycle or a sports tourer, in that case the inline twin would make for a more practical application like the Triumph Tigers. But for everyday use, a cruiser with a V-twin like the Harleys would make much sense and be practically feasible. 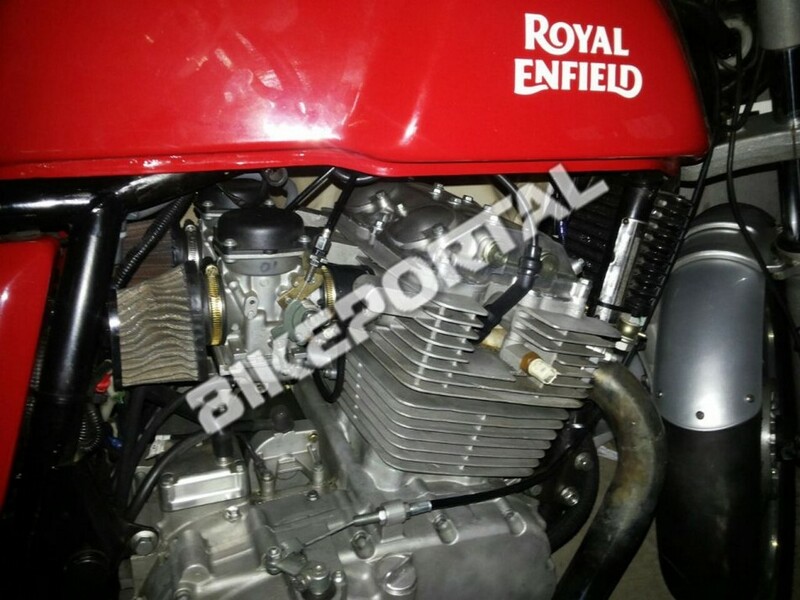 This entry was posted in Blog and tagged 59 club, 750 engine, ace cafe, british motorcycles, cafe racer, continental gt, do the ton, made in India, megaphones, rockers, royal enfield, ton up.